At the London Bankruptcy Court, on October 29th, Mr. J. D. Turner, the Official Receiver for Surrey, presided over the statutory meeting of the creditors in the failure of Mr. John Alexander Whitehead, of Hanworth Park House, Feltham. The statement of affairs showed total liabilities of £85,693, of which £23,283 rank for dividend against assets estimated to produce £14,720. Mr. Turner explained that in May 1915, the debtor formed the Whitehead Aircraft Company, Ltd., with a nominal capitol of £5,000. In the following year, this concern was taken over by the Whitehead Aviation Company, Ltd., formed with a capital of £250,000, and that in turn was absorbed by the Whitehead Aircraft (1917) Ltd., of which the debtor became governing director. On the termination of the War, a post-War programme was arranged, which, however, it was unable to carry out owing to the company's not receiving from the Government that money which it considered it was entitled to, and there was now a claim by the company outstanding against the Government of £449,305. The company ultimately went into voluntary liquidation, and the debtor found himself face with contingent liabilities of a considerable amount on guarantees which he had given to shareholders and creditors of the company. To that cause, and to the present financial position of the Whitehead Aircraft (1917) Company Ltd., he attributed his present failure. The meeting passes a resolution appointing a trustee to administer the estate. Other enterprises included a chicken farming business, but the chickens quickly fell sick and died. The next venture was a building business in Twickenham. Many houses were built, some of which are apparently still standing today. The building business began to fail and soon enough, Whitehead once again declared bankruptcy owing over 25,000 pounds sterling. 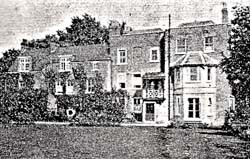 The Monte Carlo/Newborough Club, established in 1928, was Whitehead's next brainchild, which was started in his own large house, Cross Deep Lodge, Twickenham, which he moved into in 1925. An orchestra played nightly, as patrons participated in gambling and watched the cabarets. A police raid in 1929 or 1930 ended all of this when Whitehead's establishment was found guilty of allowing people to drink alcohol after hours. Cross Deep Lodge became a nursing home in 1930, until it was demolished in 1965. Given unpaid debts and multiple bankruptcies, Whitehead owed large amounts of money. This debt was settled by his father, which would not be the last time.